The art of building backlinks is one that takes a considerable amount of effort and persuasion on behalf of the webmaster. While not all backlinks are hard to obtain, it is also true that not all backlinks are created equal. In some cases, the obtainment of backlinks from a particular website can do more harm than good for your overall link building strategy. Generally speaking, webmasters will want to avoid websites that stray too far off-topic or accommodate a large number of websites in the same regard. Some brands, however, find it more difficult to build backlinks due to the nature of their niche or the culture of the overall industry. What can you do to overcome these hurdles? We will discuss some strategies you can utilize to optimize your link building effort, allowing you to focus on the most beneficial and likely contenders. 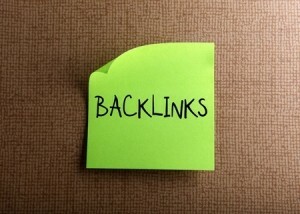 Before you can begin the process of soliciting backlinks from other websites, you first need to determine the criteria that connects your website with others. In many cases, this starts off as a simple process that evaluates whether or not a given website is within your target niche. While many websites compete with one another for business, there can be added value for both sides via a mutual link building strategy. As you are pinging websites with your links, the same can be done in exchange – just be careful not to spam too many links to and fro. Once you have a solid base of potential partners, you will then want to expand further and consider other connected interests (your suppliers and vendors, as well as secondary connections). Even if your business or brand is not a “professional” entity in and of itself, there is a likely chance that there are plenty of individuals and businesses out there that would like to see what you are doing. Social networking sites like LinkedIn are great places to build up reputations and connect with like-minded industry leaders. It is through platforms such as this that you can find a variety of perks for your business: from discounted deals and potential business partnerships, to new backlinks and honorable mentions, there is value in schmoozing with those in your industry who have already made it. With a variety of leads and potential outlets for link building scenarios, you must now begin the process of whittling down your list into something that is both manageable and reasonable. You cannot expect to obtain hundreds of backlinks in a short period of time (and if you were to accomplish this, there would most likely be negative SEO connotations associated with it). With prime contenders selected that share your otherwise bland industry interests, you can begin approaching each one individually. Do not use a cookie-cutter approach: many webmasters will recognize a legitimate backlink opportunity when it comes to pinging websites, so be sure to demonstrate a knowledge of their expertise and outline unique benefits that your two websites can enjoy as a result of such partnerships.